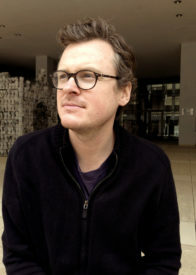 Francis Cody is an Associate Professor in the Department of Anthropology and the Asian Institute at the University of Toronto. He has been teaching at U of T since 2008. His research focuses on language, politics, and media in southern India. He first brought these interests to bear on a study of citizenship, literacy, and social movement politics in Tamilnadu. Based on two years of fieldwork in the rural district of Pudukkottai, this work was published as a book called The Light of Knowledge: Literacy Activism and the Politics of Writing in South India (Cornell 2013), winner of the 2014 Edward Sapir Book Prize awarded by the Society for Linguistic Anthropology. Dr. Cody’s more recent research traces the emergence of populist democracy and transformations of political publicity through Tamil and English news media. This work, funded by a five-year SSHRC-Insight Research Grant, explores questions of law, technology, and violence in claims to representing popular sovereignty. Taken as a whole, his work contributes to the transdisciplinary project of elaborating critical social theories of mass mediation and politics in the postcolonial world. The Obligation to Act: Gender and Reciprocity in Political Mobilization. Hau: The Journal of Ethnographic Theory. special section: Language and Political Economy Revisited, edited by Andy Graan. 6(3): 179-199. Populist Publics: Print Capitalism and Crowd Violence Beyond Liberal Frameworks. Comparative Studies of South Asia, Africa, and the Middle East. special issue: Media/Utopia, edited by Arvind Rajagopal. 35(1): 50-65. Reprinted in In Media and Utopia: History, Imagination, Technology, Critical Interventions in Theory and Praxis Series. Arvind Rajagopal and Anupama Rao. eds. New Delhi: Routledge. Publics and Politics. Annual Review of Anthropology, 40:37-52. Vaacippin Inavaraiviyal: Dinathanthi – Dinamalar Adippadaiyil Amaiyum Uraiyaadal. (translated by N. Manoharan) Maatruveli. 7:41-70. Echoes of the Teashop in a Tamil Newspaper. Language and Communication, special issue: Mediatized Processes in Contemporary Societies, edited by Asif Agha. 31(3):243-254. Linguistic Anthropology at the End of the Naughts: A Review of 2009. American Anthropologist 112(2): 200-207. “Daily Wires and Daily Blossoms: Cultivating Regimes of Circulation in Tamil India’s Newspaper Revolution.” Journal of Linguistic Anthropology 19(2): 286-309. Inscribing Subjects to Citizenship: Petitions, Literacy Activism, and the Performativity of Signature in rural Tamil India. Cultural Anthropology 24(3): 347-380.